A renewed proposal to add a 1,000-bed private prison adjacent to the existing state prison facility in Winslow is getting community support at a time when residents of some other cities are coming out against similar proposals. While some people oppose building on the city’s prison economy, many more in the jobs-starved community say that ship has sailed and the facility would bring new life to the area. Executives at LaSalle Corrections promise the facility would create 215 new permanent jobs, plus the potential for 40 or 50 jobs in the surrounding community to support the influx of workers and the 100 to 125 people a day working to build the facility. Property owners hope the project would spur home sales and new business property leases. When the state announced in 2009 that it would take bids for private prisons totaling 5,000 minimum and medium security beds, Winslow had interest from Corrections Corporation of America (CRX) in opening a facility to serve at least partly as an Immigration and Customs Enforcement (ICE) detention center for deportees. Proximity to the Winslow Lindbergh Airport was among the selling points, and plans would have accommodated 16,000 beds if there was demand for build out later. That plan was scuttled. But last October the state issued a scaled back request for proposals. The much smaller LaSalle Corrections, which operates 12 facilities in Texas and Louisiana, approached the city about putting a much smaller facility on a portion of the same parcel between the existing prison and the south side of town. LaSalle proposes to build eight buildings inside a secure area. Four would be medium security housing for 1,000 inmates; the others would house support services ranging from administration, intake and kitchen activities to education, medical care, mail processing and visitation areas. There would also be a maintenance building outside the secure area. One of the Big Three in the industry, Geo Group (GEO), operates three private facilities in the Valley. A smaller competitor, Management and Training Corp. (MTC), runs facilities in Kingman and Marana. Industry leader CRX, and Cornell Companies (CRN) house some Arizona inmates in facilities in Colorado and Oklahoma. Finalists for the contract in alphabetical order are: CRX for two sites in Eloy, one for 1,500 beds and one for 3,000 beds; GEO Group for sites at the Yuma prison for 2,000 or 3,000 beds and Perryville prison for 2,000, 3,000, 4,000 or 5,000 beds; LaSalle Southwest Corrections for 1,000 beds in Winslow; and Management and Training Corp. for sites in Yuma for 3,000 beds and Coolidge for 3,000 or 5,000 beds. A decision is expected in mid-September, on the heels of public hearings in all of the candidate communities. Goodyear residents came out strongly against adding beds at GEO Group’s Perryville facility at a hearing Aug. 10, possibly improving Winslow’s chances. But Eloy residents supported a CRX proposal to free up 4,500 beds there by moving inmates from California and Hawaii to other facilities, probably out of state. Winslow’s City Council endorsed the LaSalle project at its Aug. 9 meeting, and residents came out mostly in support of the project at a public hearing the Arizona Department of Corrections (ADC) held at Winslow High School Aug. 11. “We considered the cons; we didn’t just get sucked into this,” Mayor Robin Boyd told residents at the high school meeting. Most didn’t need much convincing. “We need the jobs. We have a huge work force available in Winslow,” said Chamber of Commerce president and Walmart manager Chris Alexander. Little Colorado Medical Center CFO Randy Glassner said the facility would help support expansion already underway at the hospital, which is in the middle of a 13,000-square-foot expansion of the emergency department. Flagstaff Contractor George Cullum, whose firm built the Rio de Flag development, has been waiting for the economy to turn before starting a housing tract on land next to Winslow’s Indian Health Care Center that the city swapped for land south of town in 2009. “We have the property. We have everything in place,” he said, adding that building one house creates about 40 jobs for tradesmen. Opponents fear the additional prison beds would bring undesirable elements to town. Some fear escapes like the one last year from MTC’s facility in Kingman that triggered a multi-state manhunt. “There is no statistical data that supports a crime increase,” Winslow Police Chief Steve Garnett reassured the crowd. But some say the risks still outweigh the benefits. But that’s not strictly true. Figures that ADC provided at press time show that 212 of the existing Winslow prison’s 384 employees live in Winslow. 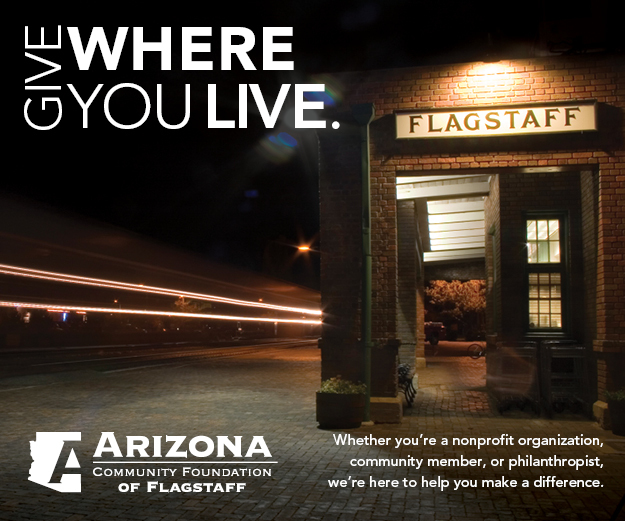 Flagstaff rates a distant second with 30; followed by Snowflake, 26; Holbrook, 25; Joseph City, 15; Show Low, 12; and Taylor, 11. Nine employees live on the Navajo reservation and four more on Hopi. The rest of the workforce is scattered across the state, including six in Happy Jack, four in Phoenix, and one each from Mesa, Peoria, Casa Grande, Kingman and Tucson. The figures are for the Winslow facility only and span all job classes. Daniel Dizcaya, a 50 year resident, was angry at the City Council’s support. If LaSalle wins the Winslow bid, construction would start next year and the facility would staff up to open in spring 2013.